The DEXILANT Patient Assistance Program will ensure that a minimum of 75% of the drug ingredient cost for your DEXILANT prescription will be covered. Click here to get your card! 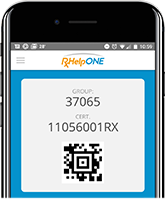 Download the RxHelp ONE mobile app! The RxHelp ONE mobile app is easy-to-use and saves you money on prescriptions. Best of all, you always have the loyalty card on your phone. RxHelp card programs allow patients to benefit from payment assistance on their medication. Let us Help choose the best card for you. The RxHelp mobile app is easy-to-use and saves you money on prescriptions. Best of all, you always have the discount card on your phone. Stay On Your Brand for Less! 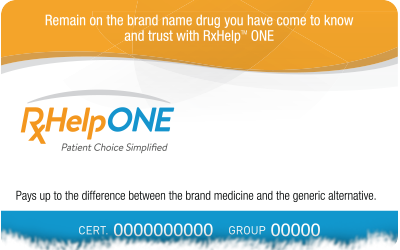 With the RxHelp ONE™ card you have the choice to stay on your brand for less! Watch the video at right to find out how. Remain on your brand name medications with RxHelp ONE!